When I heard people raving about this Diverse Reads book on Twitter, and after reading the synopsis I IMMEDIATELY added to my wish list. Julie Dao is such a sweet person and it just made me want to immerse myself in her world more. 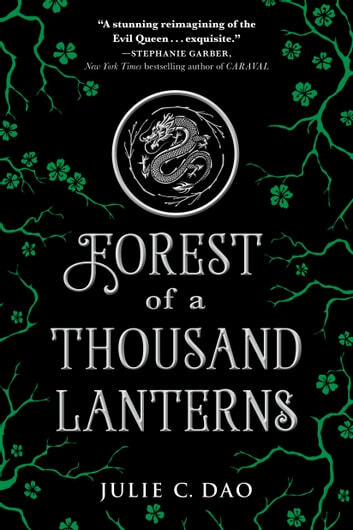 In A Few Words: Forest of a Thousand Lanterns was a dark, lush fantasy that will make readers root for an anti-heroine that we grew up hating. It was gorgeous, powerful and filled with diversity. I couldn’t recommend it more. Let’s break it down: WRITING: Julie Dao’s writing was impressive. While the beginning of the story was slow, it was the writing that kept me at it. It wasn’t overly complicated writing, but it still had this gorgeous flow that kept you hooked. In the more intense scenes (no spoilers) that come later in the book, it made me feel what Xifeng felt. Her hopes, her desperation, her need to be something better than everybody else. It’s the kind of writing that makes you believe and it doesn’t get any better than that! IDEA: If you don’t know, this book is a reimagined re-telling of Snow White. I’m not going to spoil anything, but this book IS NOT the tale you heard as a child, hence the word RE-IMAGINED. It was a very dark and different perspective on the story, and since I’m a dark and twisty person always searching for the worst boy and most cunning girl in books, THIS WAS MY CUP OF TEA! PLOT: FoTL started off slowly. I put it down a few times, but I would recommend you to keep at it until Xifeng reaches the capital because THAT’S WHEN IT REALLY PICKS UP. After she enters the palace, and a world filled with romance, politics, betrayal and making it ahead is when the books really picks up. Xifeng is a classic manipulator, plotter both subtle and effective and it was SO GOOD. I loved how destiny, ancient stories and otherworldly powerful beings played a role in this just as much as the Emperor, Empress and other members of the palace. It was SO WELL plotted out, and I’m so excited for the second book. CHARACTERS: I initially didn’t get Xifeng. She seemed to be this oh-so-beautiful girl who wanted to be good and pious but was secretly conspiring to achieve a foretold destiny that would involve her being the OPPOSITE of good and pious. But then, as she accepted that the girl she was trying to be couldn’t exist in the life she wanted to make, I FELL IN LOVE WITH HER. She was ruthless, unafraid to get what she wanted and yet cared so deep. She didn’t want to be just another name forgotten by the sands of time and I RESPECT THAT SO MUCH. I especially loved the ending of her story because GO ANTI HEROINES. Since the whole story was told from Xifeng’s point of view, I didn’t get to know the other characters much but they were ALL stunning secondary characters. I liked Lady Sun’s evil machinations, the Empress and her kind heart and Emperor Jun’s ability to see both brains and beauty. I didn’t like Wei, but then I always knew I wouldn’t. CONCLUSION: If you’re looking for that unpredictable, diverse and dark fantasy book, go throw this book to the TOP of your TBRs and Wish lists. 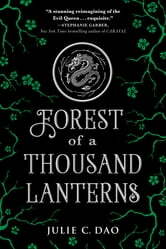 Forest of A Thousand Lanterns will have you spell bound with its intense writing, captivated by its ruthless main character and in love with the world you’ve been transported to. I liked this book much more than i tought i would.